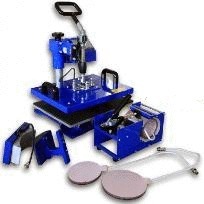 The flat heat press is well suited for pressing various items, like T-Shirts, phone covers,iPad covers etc.  The Heat pad is coated with a non-stick Teflon which ensures a high quality print. 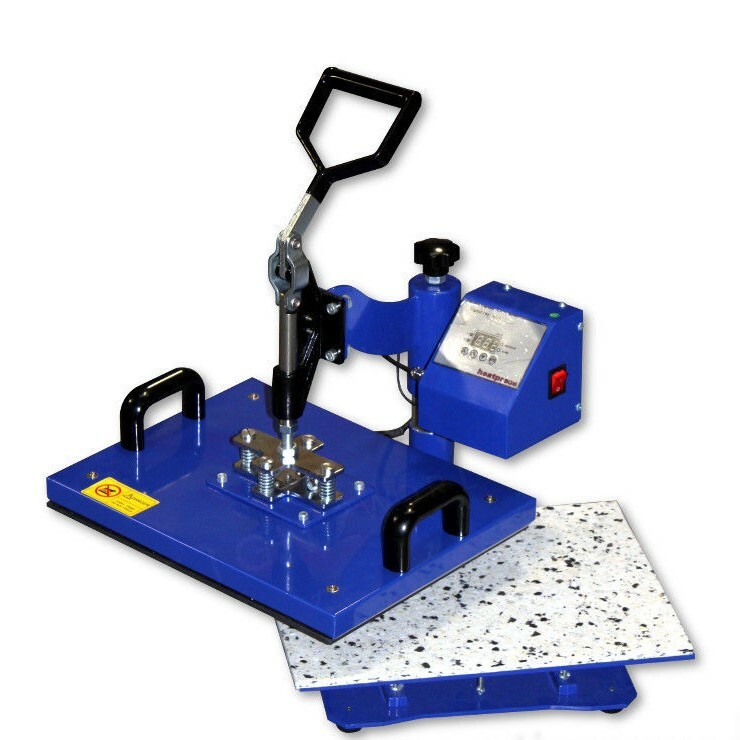 The plate press has two attachments, 8" and 10" plate surfaces suited for pressing two standard plate sizes. 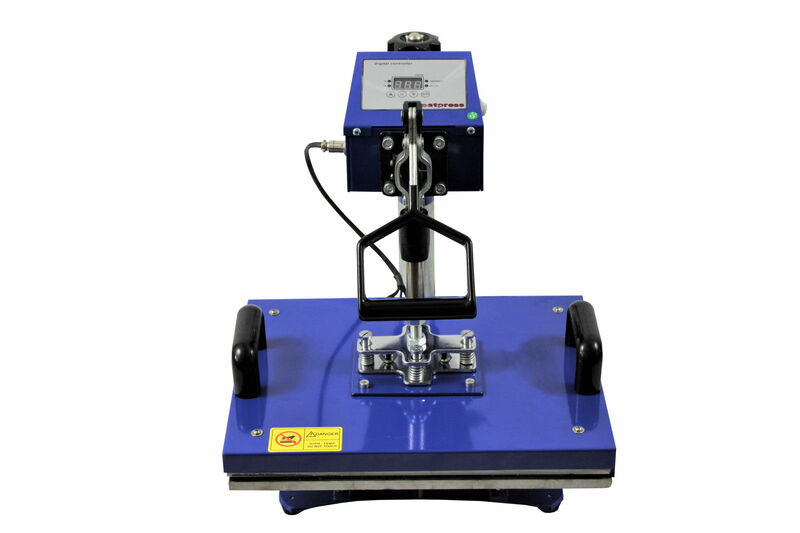 The pressure is adjusted by raising and lowering the adjustable arm using the handle at the back of the press.